Environment Pollution Control Authority has warned that if air quality in Delhi continues to deteriorate, it would impose a complete ban on the use of non-CNG vehicles. 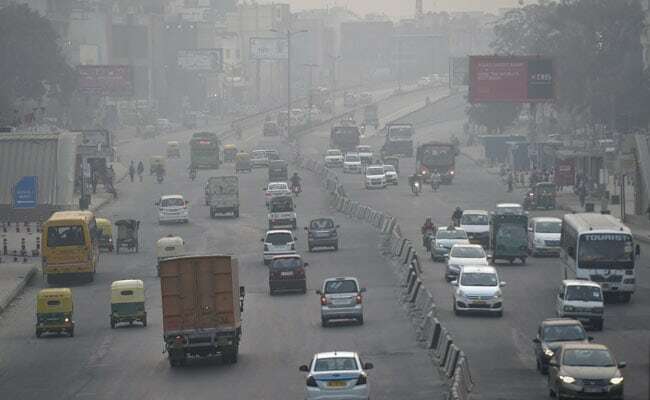 Delhi Environment Minister Imran Hussain has said he has been studying the Supreme Court-appointed Environment Pollution Control Authority's (EPCA) proposal to impose a ban on non-CNG private and commercial vehicles if the Delhi air quality does not improve. EPCA Chairman Bhure Lal, in a letter to the chief secretaries of Delhi, Haryana and Uttar Pradesh, on Monday warned that if the air quality in Delhi continued to deteriorate, then it would impose a complete ban on the use of non-CNG (Compressed Natural Gas) private as well as commercial vehicles. Mr Hussain said he has been ascertaining the proposal's viability. The overall air quality index in Delhi was recorded at 403 today, which falls in the "severe" category, according to data by the Central Pollution Control Board. Seventeen areas in Delhi recorded 'severe' air quality and it was 'very poor' in 14 areas, according to the data.